If you are one that uses Google Maps regularly, you know how easy it is to navigate using the service. The trade-off in using the service to navigate is that it projects the world as flat. That’s ok for navigating especially since maps uses Mercator projection. Mercator projection essentially makes it easy to print the map on to a flat surface and adds the convenience of making a right turn look like a right turn when reading the map on your device. The new update to Google Maps brings a hybrid approach to the service. Sadly, as of writing this story, this change is for the desktop version of Google Maps and not mobile. 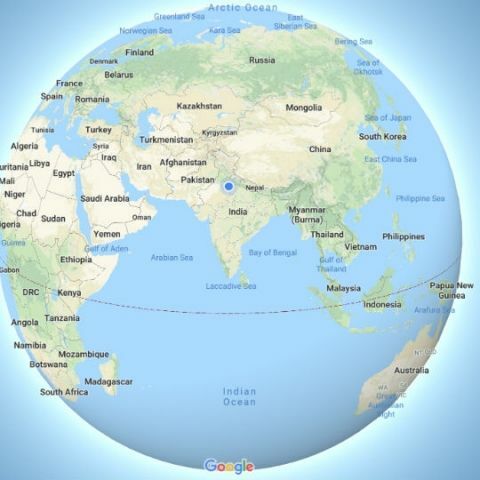 As you start zooming out of Google Maps, the world gradually becomes round. When you zoom out completely, the world becomes a complete round globe, like it should be. Google Maps has seen a series of updates in the recent past. The service has received an India specific update where Google Maps now shows a two-wheeler mode and displays locations of public toilets in the area. However, this update is limited to the Android version of Maps. You can read more about the update here. Google is also expected to add augmented reality directions to Google Maps on the phone. It announced this feature at Google I/O 2018, along with a host of cool features for Google Maps. You can check out the list of features here. Does \'to the cloud\' mean the same thing as \'let\'s Google that\'?